92% of consumers read online reviews and testimonials when considering a purchase. 88% of consumers trust online reviews as much as personal recommendations. 72% of them say positive reviews and testimonials make them trust a business more. All of those stats are net positive for online businesses in terms of earning a customer’s cash. But product reviews aren’t beneficial only for conversion. They can also drive traffic by increasing SEO and up-sell and cross-sell additional products to both existing and potential customer cohorts. Increasing review volume leads to higher conversion rates – even at high volume levels: 50 or more reviews per product can mean a 4.6% increase in conversion rates. Fresh, product-specific review content drives search traffic and keyword rankings, specifically when a business earns 10 or more reviews –– resulting in 15-20% increase in search traffic. 3- and 4-star reviews contain 2x as many product suggestions as others –– informing brands of products that work, and which do not. 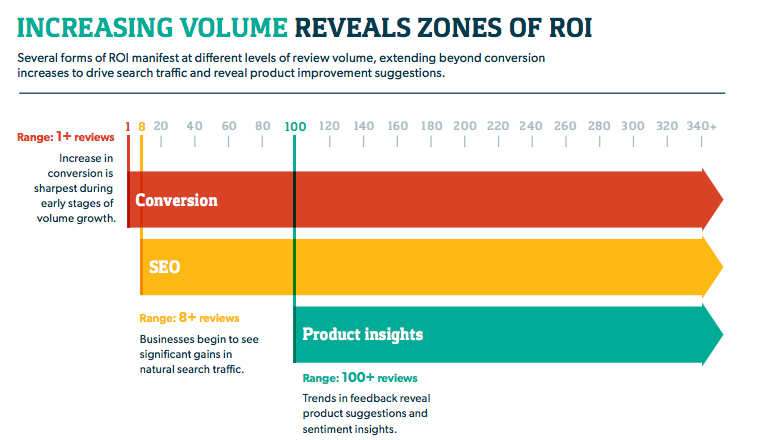 Bazaarvoice’s Conversion Index Volume 8 explains how an increasing volume of reviews affects first conversions, then SEO (and organic traffic), followed by product and business insights gathered from crowdsourcing. Driving review volume is clearly important. After all, we live in the post-Amazon age. But the most striking data isn’t about traffic, product insights or even bottom of the funnel conversion. It’s about interaction, and how social proof (i.e. customer reviews) affect your conversion rates across the board –– in all industries and on all channels. 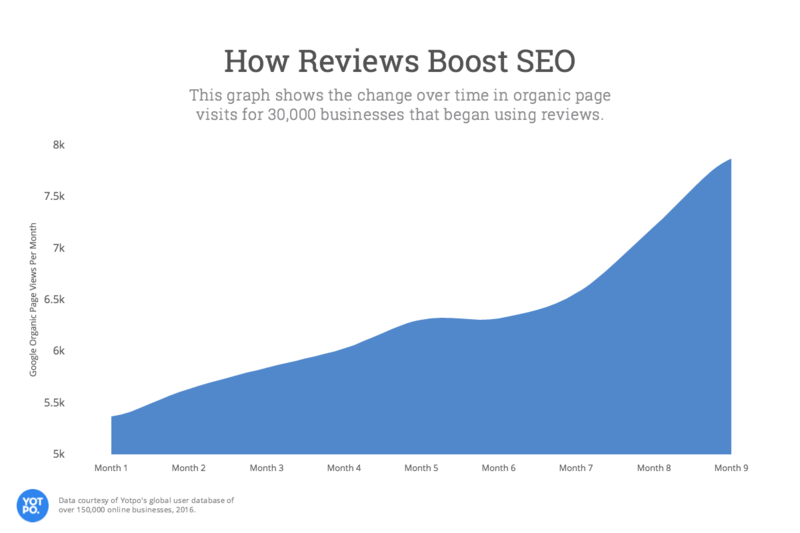 Those numbers in hand, what if you could pre-plant positive reviews across the web to drive not only increased conversions, but increased AOV and return-on-ad-spend (ROAS)? We already know Google and Amazon heavily merit positive customer reviews. They increase your search ranking on both platforms, and both companies strictly control the process in favor of the customer. We also know that agencies like the Better Business Bureau affect consumer trust, with the BBB’s security seal coming in 3rd on the Baymard’s survey of consumer-rated trust in checkout seals. And, of course, take your own personal use case. Do you buy items with no reviews? Do you buy items with low-star reviews? Do you care? I’d venture to guess those answers are, respectively: not often, rarely and yeah –– I do care. So then, the next logical step is to begin using the product reviews you are generating on your site more broadly in your advertising across the web. This concept is not new. Best Buy began doing it in 2008. Amazon takes it to a whole new level with their brick-and-mortar bookstores, using floorspace as advertising space for online customer reviews. Here are how other brands are making this work for them –– and how you can begin incorporating your own product reviews and testimonials into your marketing and advertising strategy to lower your cost of acquisition and increase your ROAS. In general, we’ll be talking about how to take customer reviews and use them strategically as customer testimonials. There’s no better place to share customer testimonials than across your social channels. Brands that share authentic user-generated content are constantly building more trust with their social audience. Instagram, Facebook and LinkedIn are ideal opportunities to post customer testimonials alongside customer photos and profiles. 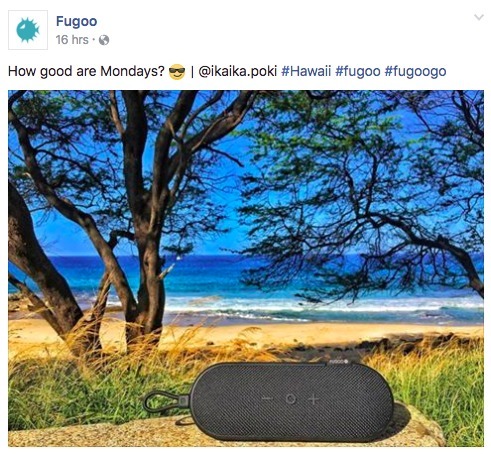 Check out how Fugoo intersperses review content and regular lifestyle images of customers using the speaker on their Facebook page. Or, take a note from Onzie, which shares quotes along with customer-submitted images in a very authentic, human way – the same way you or I would tell our own social networks about a brand we can’t get enough of. Instead of sharing a 300-word review that speaks to all of the technical or design features of the product, this sparks just enough curiosity to entice new customers to visit the site to learn more. 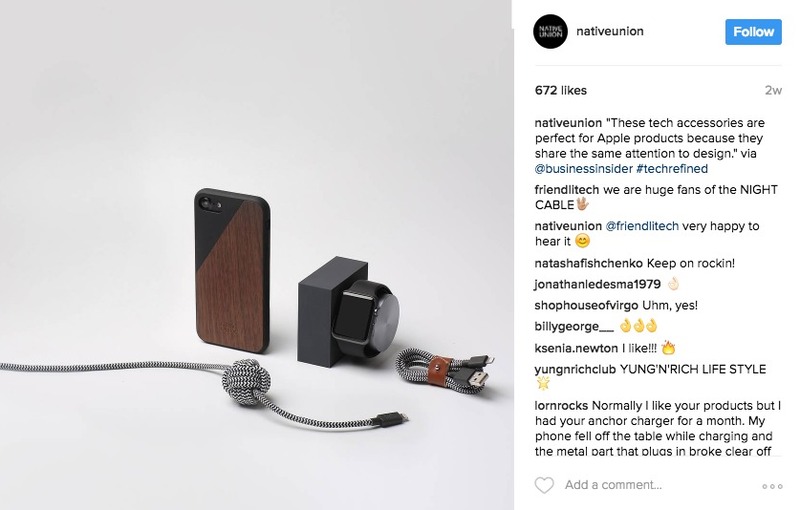 Even media reviews can be used, like Native Union did here. The average AdWords click-through rate across all industries peaks at 1.91% for search ads, and 0.35% for display ads. But, an AdWords ad that includes a customer review extension sees an increased click-through of up to 10%. See all product review apps here. Social proof is an important component of any marketing campaign, and paid media is certainly no exception. Search engines are placing more weight than ever on customer testimonials for a number of reasons. Testimonials create fresh, ever-changing, and relevant content that proves to search engines customers are interacting with your brand. Reviews are naturally filled with long-tail keywords that customers are actually searching for. Over the course of nine months, they found that, on average, a site using customer reviews increases site traffic about 45%. Place testimonials in plain HTML instead of Java or Flash so they are readable by search engines. Use schema markups or rich snippets to help search engines sort and make sense of testimonials, and share relevant information on search engine result pages. Encourage longer testimonials by creating a number of fields or asking a series of questions for the customer to describe your product or service. Consider StoreYourBoard. In August of 2016, the company optimized their on-site review system utilizing product reviews as well as FAQs. In September, their revenue for search traffic jumped from $1.5K to more than $30K. Today, search traffic drives hundreds of thousands in revenue, just behind AdWords and Direct. See why StoreYourBoard won 2016’s Most Innovative Brand awards (hint: their product review process is much more sophisticated than meets the eye). Engagement is a key factor for increased search ranking. It is also a key factor for any landing page (like your homepage) in moving consumers through from top of funnel to final sale. Customer testimonials can aid here in both SEO as well as merchandising to drive more traffic (thanks to on-site clicks) and move consumers through the funnel. Let’s look at a few examples. First is NatoMounts, which uses customer testimonials at the end of their landing page-like Homepage, in the case a customer needs a final push to purchase. Convincing people to buy is more science than you think. Badass Beard Care also uses customer testimonials on their homepage, as well as a loyalty program and incentives for engagement on social. A free sample, a Facebook ad and a viral product. Here’s how they did it. Here’s an example of a much shorter homepage that uses only product imagery and customer reviews to drive conversions. Here’s how online health & beauty brands stay ahead of the competition. One of the best ways to utilize a testimonial from a happy customer is to create a video. Testimonial videos, when done right, provide a more human and authentic connection than the typical promotional videos. Even better, check out the ads for the exact product available underneath the video. Once you have a collection of happy customers, you’ll need to perfect the way you share their reviews on your website. And it doesn’t have to be complicated. 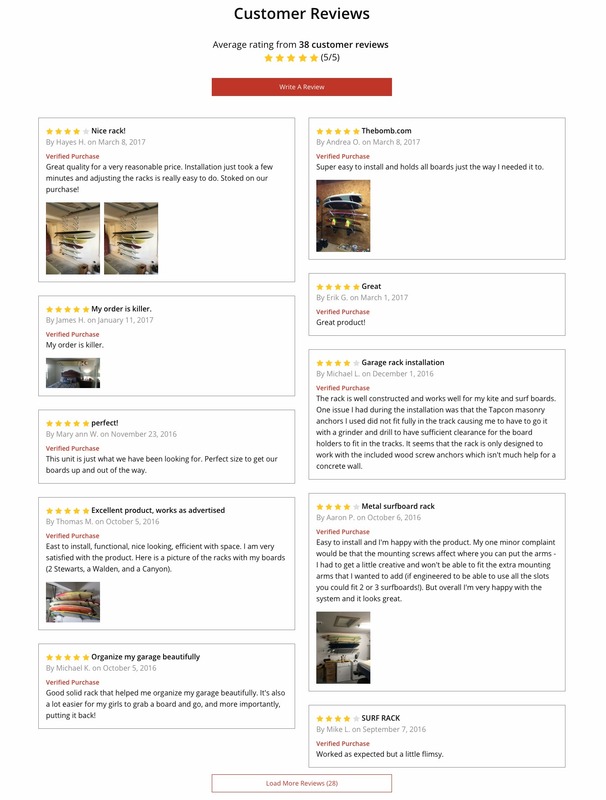 The Dairy Fairy compiles customer reviews onto a single page, this one for “Mama’s Reviews.” She’ll soon have similar pages for Blog reviews and Media reviews as well. Remember that press mentions are also great to highlight on a page similarly to customer reviews. See how Vivino does it below. If you don’t want to reuse your customer reviews, here is a great example of how to combine social media posts onto an interactive page. You can gather these by encouraging customers to use a specific hashtag when they post to Instagram. Case studies are not the best use case for every ecommerce company. Technology companies use case studies often to prove value and earn customer testimonials. This works well for businesses selling solutions. For instance, Bright Agrotech has a case studies page featuring the farmers (both new and legacy) using their system. The page is a great resources for their various customer groups to see how success their solution is. If you sell a solution, you can create case studies by hopping on calls with customers who have already expressed positive feedback. Ask if they’d be willing to tell their story. You can send them a survey via Google Surveys, or use a free service like Uber Conference to record and transcribe interviews. What were the main challenges and pain points that lead you to look for a solution? What lead you to our business, and how did we stand out against the competition? What were your goals in the beginning of our engagement/project/purchase? What benefits did you experience from using our product/service? Ask for quantitative data here. What would you tell other customers suffering from the same challenges you were struggling with? With 10 new case studies each month, the BigCommerce Case Study page is one to keep bookmarked. “Like-me” audiences resonate more with customers. If your target audience is women with young children, use testimonials from women with young children (and include their ages –– not names! –– in the review, too). 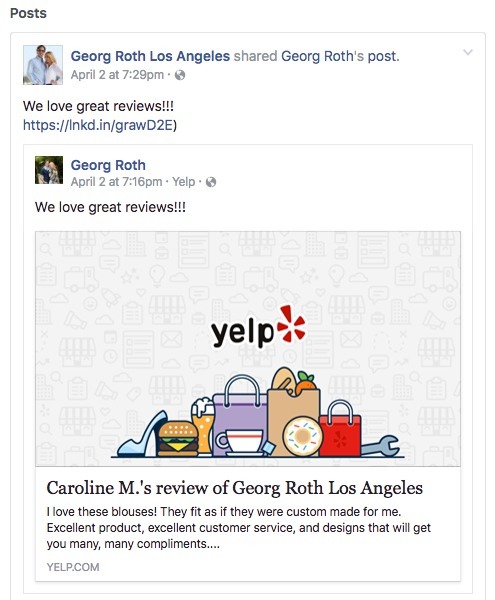 See below how Georg Roth Los Angeles uses everyday Yelp reviews on Facebook and LinkedIn. Third-party review sites like Yelp are 81% more trustworthy than brand-owned channels, according to consumers. Find the influencers in your space and work to forge solid relationships with them. Or, if budget allows, pay them outright. Costs are estimated at $25,000 to $50,000 per campaign. Either way, people trust people they like –– and influencers have a lot of power here. These campaigns work best is done on Facebook or Instagram, where 87% of marketers say the campaigns worked. Popular blogs also have influence, where 50% of marketers say the campaigns worked. Marucci is hands down one of the best when it comes to influencer marketing. Professional baseball players sue their products regularly, and the brand takes advantage of that loyalty. 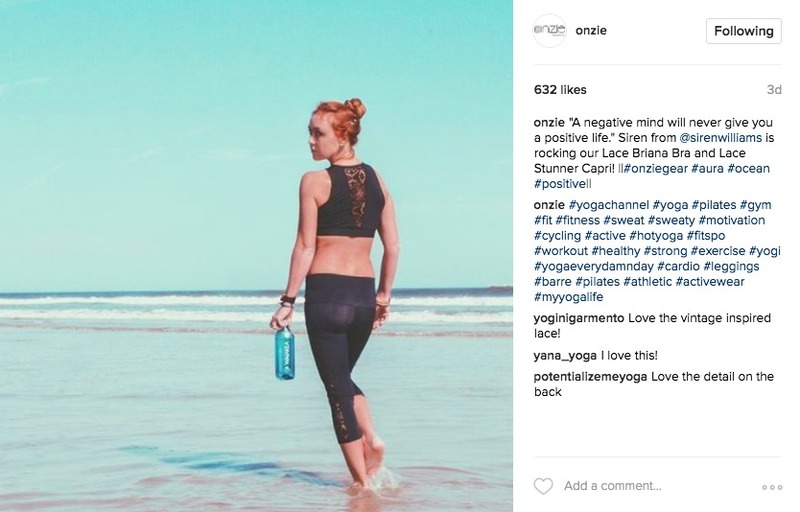 Your brand doesn’t have to be this holistic about influencer marketing, though. You can always do one-off campaigns like Flash Tattoos –– who partnered with Beyonce in 2015. The collaboration didn’t happen overnight, but the sales sure did. Why? Well, this goes back to an old rule of thumb in advertising called the “Rule of Sevens,” and unfortunately there is no exact date to back it up. Either way, your customer testimonials help to move consumers through your funnel. Find testimonials that fit each cohort –– both in terms of demographic as well as purchasing cycle. That means you will need testimonials that fit top of funnel, mid-funnel and bottom of funnel — and likely multiple iterations of each. Where do you use those? In all of your marketing materials. Incentivizing customers to review their purchase is a sensitive area. Offer too much, or ask too frequently, and it can easily seem as though you’re coercing positive feedback. With some creativity, however, you can build testimonials into your retention strategies so that customers want to leave positive reviews about your brand. Before you do anything though –– just ask your customer to review the product. Once they have received their order, shoot them an email a week later to ask about their experience. If that doesn’t work, play on a loyalty program and give those who review your products a discount or points incentive for doing so. In other words, don’t give up the discount too early. While responding to customers’ testimonials may seem like a given, the way in which you respond can make a difference. The key is to always invite customers back for another purchase. Here are a few steps on how to respond to both positive and negative reviews that will lead customers back again. Expect to receive testimonials across all of your sales channels (and even places where you do not sell!). These includes your social channels, Amazon and eBay, your webstore, Yelp, Google, Glassdoor and many others. Be sure to monitor all customer touchpoints daily so you never miss the chance to respond, engage, drive loyalty and build customer lifetime value (as well as SEO and ad copy for the future!). As digital marketing continues to become more of a challenge every day, utilizing testimonials will help your business stand out among the rest — becoming a representation of your customer service in the process. Also, be sure to check out our guide about selling on Amazon! Emily Cullinan is the Marketing Strategy Manager at EYEMAGINE, an award-winning full-service marketing agency. A trailblazer of the relationship commerce frontier, Emily helps B2B and B2C businesses drive profitable growth through the creation of meaningful, long-lasting consumer relationships.